Wells 11 ‹ Series 10 Reversions ‹ Flog It! Antiques programme. Paul Martin and experts Anita Manning and Will Axon are at Wells Cathedral in Somerset. Browse content similar to Wells 11. Check below for episodes and series from the same categories and more! Today we're in Wells, Somerset, England's smallest city. They say beautiful things come in small packages and that's true of this stunning Somerset gem. Let's hope we dig out some small items with big values. Welcome to Flog It! We've chosen Wells Cathedral for our valuation day venue. the first cathedral in the country to be built and designed in the new Gothic style. 'Serving up the expertise today are Anita Manning and Will Axon. I'm going to put a red sticker on these folks. 'He may be a few years her junior, but Will Axon is no young pretender. 'as they battle to snag the very best items from our crowd. Here we were in our ankle socks and frilly knickers. -It depends on how many noughts you put on the end. Incredible. Wow, that's a good result again! -Tell me. Where did you get them? -They belong to my son. I'm bringing them in on his behalf. -Where did he get them? -I believe he got them at a boot sale. A car boot sale story - I love them! How much did he pay for them? Not a lot, knowing my son. Probably under a tenner, I would think. Let's have a closer look at them. I particularly like this period and I do like this type of thing. It's Arts and Crafts from the beginning of the 1900s. and the pewter is hand-hammered. we can see that these are called Tudric. that was made for Liberty and Company. They sold the very best of goods. Not only were they good items in themselves, they were the best of design. -I like these a lot. What do you think of them? I didn't think they were that valuable, being just pewter. of perhaps £60 to £80. They may do more than that. We do have a pair and they do have the Tudric name on them. But I think if we put them in at 60 to 80, it will invite the bidding. Would your son and yourself be happy to put them to auction at that price? -It's not bad for a car boot sale. when they come up for sale at auction. On the other side of the room, Margaret hopes Will puts a big price tag on her three small paintings. Margaret, I love these miniatures you've brought in. Have you just plucked these off the wall? Where do they live? They've come from our charity shop. Anything of value we try to keep to one side. Unfortunately, we've been so busy in the shop, they've been left in the shed. We got round to clearing it and these three popped out. -who might tell you what they're worth? -Get more money into the pot. so he's not going to be as valuable as something painted from scratch. and I think the naive quality about him will appeal. -Do you think he's a good-looking chap? You might be tempted to put your hand up at the sale if you could? It depends on how many noughts you put on the end. We're talking about noughts already! You weren't thinking double figures? -I'm hoping as much as possible. but I've had a look at him under my glass and he is again painted from scratch. Again he's got that naive quality that will appeal, as well as being presented in this nice gilt frame. He's lost the glass and he's loose in that frame. -Let me prise him out because he hasn't got a back on him. Let's have a look at him now. I'll flip him over. We've got this rather nice little inscription. -"Drawing by..." It's difficult to read. I can just make out "Cox" at the end there. We've got a date there, 1837, which is exactly where you'd expect it to be. -You've given an idea that you think they might be worth figures with noughts on the end. You don't know until the day. You're quite right. The proof is in the selling. -I like the way you're approaching it. They're not terribly fashionable, but people like them. They hang nicely at the side of the fireplace. We've already spoken about the overpainted one, the Nelson one. I see here not a lot of money, to be fair, sort of £5, £10 maybe. -so I think we've got father and son here. There is a similarity between them. Bearing in mind the condition, would you be happy if we offered them in one lot, estimated at £50 to £100? -That's a bit more than you'd get for them in the shop. So let's say £50 to £100 for the three, but let's put no reserve. -We'll have whatever is on offer. -Then we know something is coming back to the charity. 'We'll be back to see just how many noughts Margaret's miniatures make in a moment. "So you've been to see the Dali exhibition. Have you ever been up to Cadaques to see his house?" I said, "Never." "Would you like to go?" He said, "Bring a friend." I said to my flatmate, "Do you want to go to Cadaques?" "Yes." And we got there after this terrible journey and there he was with his wife Gala. I went over and said, "I'd ask you for your autograph, but I've nothing to write on." and he said, "This is a fan letter I've just received from Madrid which I will give to you." He said, "I'll sign it." And he did. He signed it there right in front of me and said, "There you are." I went out in an absolute daze. At auction, Salvador Dali's signature is only worth £100. You shouldn't sell that. I think your story is priceless. If you'd had a few doodles on there, it would be worth £300 to £400. -I've never heard that before. Where's your grandmother been all your life? Don't tell me I've got to this age and I've got to adopt a grandson. It's too much, Paul. It really is! 'Her letter may not be worth much, but I thought Peggy was absolutely priceless. Thank you so much for bringing in this very impressive-looking desk set. Can you tell me where did you get it? who I think inherited it from a general she used to do domestics for. Did you have it on display? No, sadly, up in the roof, in a box. So we looked at this and thought, "It's nice. Let's see if it's got any reasonable value to it." Let's have a look at this set. The first thing here is this very impressive domed or casket-shaped box. and we can see where we would have had compartments. These have long gone and this makes a wee bit of a difference in the price. But the exterior of the box is wonderful. It's made of burr walnut. and these tiger's-eye, agate insets. So we have the stationery box. We have the book slide. These come up like this and the slides will slide along. And I think my favourite piece here is this notebook or blotter. Again it's decorated in the same way and all in good condition. -Do you have any idea of value? -So you haven't really thought of that before? I would put an estimate of £100 to £200 on it. but we do have the inside of the box missing. I'm sure that 100 to 200 is conservative. But would you be happy to put it to sale at that price? Yeah. Yeah, I think so, definitely. just to safeguard it if that's needed. Thank you very much for bringing them along to Flog It. with this gorgeous painting of Martin's. -Martin, what can you tell me about the watercolour? I bought it about 12 years ago at auction. Did you have to bid heavily for this? Yeah, there was quite a few after it, actually. I liked it and I just carried on till I got it at a sensible price. OK, can I ask you what you paid for it? I can't remember the exact amount but it was between £200 and £300. Did you know who it was by? I didn't know him before I bought the picture, I just liked it. -OK, you've done some research then? John Frederick Tayler, the Victorian artist. and dressing characters up in period costume. and they'd either be hunting with dogs or hunting with hawks. and he was one of Queen Victoria's favourite artists. I think it says Tayler on that rock. by John Frederick Taylor and look at the skin tones! he was president of the Royal Watercolour Society, can't you? Why are you selling this, Martin? Well, we moved from a large country house to a suburban house. -It doesn't quite fit in. -It doesn't work with low ceilings. I think you'd put it into auction with a value of £350 to £450. -And a 10% discretion, if that's OK with you at 350. You've made a bit of money, haven't you? And you've enjoyed it along the way. -Looks a bit like Charlie Ross, one of our experts. Charlie's just about to go under the hammer here. but I really hope Martin's painting smashes my estimate. and the vivacity that characterises this place. and distinctively unconventional George Ferguson. the Royal Institute of British Architects. He's also the recent recipient of a CBE. where he's made his most dynamic impact. And I've come to meet him here to find out more. I tell you what, George, you've got a fantastic view from up here. some of your great achievements. Well, little, little achievements, really. for a few hundred quid in the '60s. A few hundred quid! like these ones across the hillside. it's become that coloured hillside, including some new ones. of these wonderful red brick buildings. by one of Britain's biggest tobacco businesses, WD and HO Wills. and provided work to thousands. but with a real sense of community, too. people approached me about ideas for doing something with it. for sites for a supermarket and various things like that. a proper, sustainable, mixed-use development. with the things I really believe in. and one of the most exciting small theatre venues in the country. It's where George chose to make his home. What are the dos and don'ts when it comes to regeneration? I think my first rule is, go with what you've got. and put in a great big supermarket and a major hotel. -No, and it's losing our heritage as well. the real activity that cities are made of. thinking about what will people do here? What will enable people to have more fulfilled lives in this place? -So it's work and living and entertainment. I think regeneration encourages independent organisations. I love to encourage a high street with small shops. That's what makes a proper place that buzzes. including a regular Sunday market and an annual urban festival. including an old chocolate factory in East Bristol. they've got these glazed covered streets running through them. you would end up probably building a housing estate. The Chocolate Factory is pretty hard to beat. That's a cool address. What fabulous buildings as well. This would be workspace with residential up here. This is residential with workspace down here. so they don't have garages, they have cycle stores. and it's been a real pleasure to meet you at last. Great to meet you, Paul, and the pink trousers. So, how do you think our experts' valuations went? We're off to auction and here's a quick reminder of what we've chosen. Let's hope the bidders will want to snap them up. Right, it's auction time. This is where it gets exciting because anything can happen in a saleroom. We're putting our valuations to the test at Tamlyn & Son in the heart of Bridgwater. 'But don't forget. Whenever you sell at auction, you have to pay commission. Going under the hammer right now, two napkin rings made for Liberty's. It's Tudric pewter and this is a case of classic recycling. -David, I think your son has got a great eye for antiques. -How much did he pay for these? -That's incredible. It is out there. You've got to get up early and know what to look for. Hopefully, we'll get £50 or £60. It is a good name. Let's find out what the bidders think. Good luck, David. On to Lot 160, the Tudric pewter, nice pair of napkin rings. -Do I see 110 in the room? The bid's in the room now at £130. Incredible. The hammer's gone down. just like that every day of the week. -I've just been joined by Margaret. Hello. -Yeah, this is the boss. -Pleased to meet you, Amanda. Shake hands with the boss! -You run the charity shop? Two gentlemen and a print of Lord Nelson. This is quite early 19th century. Very, very desirable. Fingers crossed, here we go, this is it. Portrait miniature of a gentleman and a couple of others. Three in the lot. At 130. Do I see 140 anywhere? At 130, the bid's here with me. 160. In the room now at £160. At 160. Do I see 170 anywhere? Are you all done at 160? -A round of applause for that. Do you think they're pleased? -We thought, "They're not going to sell." -You were a bit pessimistic, weren't you? -That's wonderful. I'm all hot. -A bit more than you would have got in the shop maybe? 'Another great result. Those good-looking men made a good-looking profit. It's quality all the way, burr walnut. It's a little desk set, it's beautiful. Quality always sells. If you've got the right desk to put this on, job done. -We have three parts here - the little box, the blotter and the book slide. Let's find out what the bidders think. It's going under the hammer. Good luck, both of you. Lot 460, the Victorian, brass-bound, walnut desk set. And a nice, decorative item. We have to start this one away at £100. -Do I see 110? 110. 120. 130. 140. 150. 160. 170. Commission bid at 170. At 170. Do I see 180? 180 on the telephone. 190. -I love the dome lid on the box. No. At 250 it is then. At 250. Do I see 260? -Wonderful. You've got to be happy with that. -I know you were a bit worried earlier on. he's brought along some moral support. Good to see you again. Who've you brought along? -This is my wife, Jackie. Did you approve of Martin bringing this along and selling it? -Because it doesn't fit the house. -It deserves to be in a sort of nice country house. Well, let's hope all the bidders are here. -there's certainly a buzz in the place. Not a lot of space, is there? There's no space. We're hemmed in here! It's going under the hammer right now, good luck. John Frederick Tayler, portrait of a gentleman. and to start me away, I've got £280. At 280 here, at £280, do I see 300? At 280 then, if you're all sure. No. -Gosh, I'm ever so sorry. -Never mind, it doesn't matter. But it won't suit your house so it's not going on the wall, is it? to give that gentleman a new home. I'm in Bristol and this is Bristol Zoo, the fifth oldest in the world. bringing worldwide fame to this magical city. so I'm here to find out exactly how they've kept up with the times. This place not only constitutes a wonderful family day out. It also has become an important centre for conservation and research. And over its long history, the zoo has undergone a number of very different incarnations. and a variety of public institutions sprang up around the world to house and showcase them. London Zoo was the first zoo to be launched in this country in 1827. Bristol followed closely on its heels in 1836.
rather than entertainment, and they were very much the privilege of the well-heeled. the zoo became a family day out foreveryone. But ideas of animal husbandry were very different back then. This Victorian building behind me here came with the original land purchase. that the bears would climb up to take food from the visitors. But it was in the 1960s that this zoo reached its heyday. with the very remarkable BBC children's television programme, Animal Magic. "Do you mind if I come and sit on your lap?" the show captured the imagination of a wide viewing audience. You don't know it, but you're coming back to Bristol with me. "Bristol? Where is Bristol? Is it in France?" No, it's in Angleterre. I've come here to have a chat with one of the zoo's longest-serving employees. -He's Senior Curator of Animals, John Partridge. -Nice to meet you too. -Tell me about the important firsts that have taken place here. first male polar bear born in the UK in the same kind of year, '58, '59. the first nocturnal house, reversing day and night, so people can see animals that are active at night. so they can walk through a lemur exhibit with our lemurs and be in the enclosure with them. There's been a number of memorable animal characters over the years. Can you name a few of them? and lived here for 18 and a half years. At the time, keeping gorillas in captivity was extremely difficult. He was the only gorilla seen in Europe for some of that time. Alfred became a huge character and the zoo's most popular resident. When he was young, he was famous for being taken for walks on a lead around the zoo's gardens. And some animals even got to make it outside the zoo. and they were taken for regular walks around the local streets. The people would often pop out to feed them little treats. But there were occasions when the animals from the zoo went absent without leave. which is just across the way here, so there was a bit of a palaver getting them back. But with a little bit of food and a lot of patience, you can get these animals in. But "in" for a lot of the animals, especially the larger ones, was not a pleasant place. The cages were often bare and small. Bristol Zoo is a very different place from what it was. Can you give me a brief outline on how different today the zoo is, compared to 175 years ago? We've developed an awful lot. Historically, we've kept large animals - giraffes and elephants and so on. It's a bit more difficult to do that now in the way we want to keep our animals and show them to the people. with natural vegetation for them to live in. and then doing very good conservation work out in the natural habitat. You do a lot of work internationally protecting endangered species, but you do a lot here on site as well. We have many critically endangered species and one or two that are extinct in the wild. several species of Partula snail or Polynesian snail. One species is not found anywhere else but here in Bristol Zoo. It's extinct in the wild and if we don't do well with it, we lose it. And our latest conservation success story is with our Asiatic lions. so we have a male and a female cub called Jay and Kaly. They are a very important birth for us. so we're part of an internationally managed breeding programme for this endangered species. Over the past 175 years, the zoo has brought six generations of Bristolians closer to wildlife. and given more than 50 million visitors a wonderful day out. Looking forward to the future, its hopes are to become the best city zoo in the world. If you want my opinion, it already is. and beaten a path to Will's table. Has this been on your wrist from new? How did you come by it? A friend of mine gave it to me, like, you know. He took... He was a landlord of a pub and I used to do bar work. It was a farewell present sort of thing. Rolex, obviously, is a brand that everyone is familiar with. This one here is fairly plain. -To be fair, it's towards the sort of more run-of-the-mill model of Rolex. as an Oyster Perpetual, i.e, self-winding or automatic. If I'm being super-picky, there is a bit of discoloration on the dial, but you can get that repaired. You can have the dial cleaned or reprinted. Your friend gave it to you as a gift. Have you had it insured? Any idea what it could be worth? -Well, the insurance is about 1,200, like. certainly for what we would call jewellery, silver, watches. -The bracelet is associated. That's not a proper Rolex bracelet. My honest valuation on this piece would be in the region of £200. It's a big difference from the insurance valuation you have. But how do you feel about that - £200 to £300? -I'm fine with that, yes. -So we'll reserve it at that bottom figure at the £200. -Can I give the auctioneer a bit of discretion? -Yeah, a bit of discretion. -I'm pretty sure we'll find a new home for it. Watch out to see how well Bernard's Rolex does when it comes up for sale in a while. that Pamela has brought with her. I'm always delighted to see beautiful jewellery on the show and we have some lovely things here. I've collected them over a period of time and I think they're lovely too. -Can you tell me where did you get these items? Let's start with the cross. The cross was on a happy weekend in Rhodes with my husband. The mourning locket followed on when he died, of course. and this one again just a gift from a friend. -Why are you looking to sell them now? so I thought I'd probably sell them and split the money or give it to my sons, whatever. -They don't see beauty in the same things that you and I do. -Let's have a wee look here. This cross, the setting is absolutely beautiful and it's beautifully done. but it's not, it's a synthetic stone. -and I would suggest a reserve of around £200. we have two Victorian pieces. is a little earlier than this one. I would say maybe 1860, 1870, 1880. We see this swivel mechanism here. This would have been used to keep a piece of a loved one's hair. -I see you have a photograph in here. But it is a mourning locket. That's not the mourning locket. That is. But this would have been a mourning locket at some point as well. -This is made of a pinchbeck. It's not a gold. It's made to look like gold and there is some quality. -This is a finer piece, Pamela. This is probably 1880 to about 1910.
so we have some symbolism there. Both of them very, very nice items. -For the two of them. With a firm reserve of 300. Well, you know your business. It may do more than that, Pamela. -An estimate is only an estimate. Sometimes I can be a wee bit conservative. Sometimes. Let's hope so in this case. Yes. Tell me, where have you got this one, Pamela? That was just a gift in the '60s or '70s and it's just a pretty piece. -It sits nicely on the neck because it's shaped. a popular design in the '60s, '70s and even '80s. But it has a good gold weight. nearly one ounce of nine-carat gold in it. with a reserve of perhaps 180 on that. -Well, that would be good. This is the best time to sell jewellery, particularly if it has a high gold content. I know you've enjoyed wearing these, but are you a wee bit sad to see them go? Maybe in some ways, but I've had my times with them. Basically, nothing lasts forever, does it? with the next item Liz and Conran have walked in with. who's wearing these in a dark alley at night. Have you got the BFG at home or something? Where have these come from? They're an heirloom. Always been in our home. We've always loved them. It's amazing. I've never seen anything like it. I mean, what size are these? I'm a size seven or eight when I'm lucky, and I'm feeling bigger than I am. You said they've been in the family, for how long? When I was about five, my father was given them by the manufacturer. My father was a shoe retailer. saw them in a parade in the town, about 1906.
because of the style, and so on, and you got these nice little hooks. That would date them from the turn of the century, about 1900. If I tip this one up - ooh! It's not that heavy, but they are heavy! If I tip that one up, we can see under here, we've got "Ivy." Now, is that the firm that was making these? The firm was Rhodes Rawling of Halifax, and it was the Ivy brand shoe. And look at all these hob nails here! And, each one, stamped. I was going to say, all of this is leather, including the soles. I noticed you had to use a bit of ribbon. It's difficult to get such long laces. -And you packed them with newspaper? -To stop them collapsing and cracking. I was going to ask you, does he make you polish them? Yes, I do polish them. I suppose that's where all the other things like this have gone. and plenty of elbow grease. There's a bit of damage here, but they're over 100 years old. -Have you ever been tempted to put them on? I won a fancy dress competition! I went as a clown. I was asked to stop walking about and scratching the floors! Because of the old hob nails. Exactly. because I haven't got anything I can compare these to. I can't tell you, well, last week, I sold a pair, and they made X.
and that's the only way you're going to be able to value them. They've got to be worth £100-£200, just for the novelty value. So, let's put them in at £100-£200. Let's reserve them at £100. They've got to be worth that, all day long, surely. -This wonderful walking cane which you don't know a lot about. -How long have you had it? I've only had it 15 months since my mother passed away. She probably inherited it from her parents. It could have come from the Far East, Malaysia. -Your mother has used this. -She's put this worn rubber stopper on the bottom, bless her! -And this little bit of antler is a later addition. Now, my gut feeling is this could be Napoleonic. It could be something that a prisoner of war made here or something that was made out at sea. I'm not sure what the bone's from. I don't know if it would've been a narwhal tusk because that tapers. It's a lovely piece of ropework. You see a lot of this on the legs of furniture. It's affectionately known as the barley twist. But English furniture will have a double twist. That ropework will go one way, then the other way. It's more generous and it's harder to achieve. -done by a Napoleonic prisoner of war. And that is absolutely beautiful, isn't it? It's so symmetric, considering it's all carved by hand. -What do you think it's worth? -Somewhere in the region of 90-plus? -You're about right. I was going to say £100 to £150 tops. OK? Let's put it into the saleroom with a value of £80 to £120. and it also covers the higher end. -With a reserve at £80. -That's a lot more than I valued it. -We'll let the auctioneer have a bit of discretion at the 80. -But I think that's quality. -Thank you for bringing it in. -Sadly, I have to take this from you. Let's get that and our other items wrapped up and sent off to auction. 'Here's a quick reminder of what we've chosen. 'all on the lookout for a bargain. Did you ever wear it? Oh, yeah. I wore it plenty of times, like, yeah. -But then I thought, well, I might lose it. We've got £200 to £300 on this. Hopefully, it'll do that and a bit more. -Let's find out what this lot think. Here we go. Lot 115 is the gentleman's Rolex Oyster Royal watch. A 1950s one. This is Lot 115. And I have to start it straight in at £240. -240. Do I see 250 anywhere? At 240, the bid's with me. At 240. 250 on the telephone? -At 260 the bid's here with me. Do I see 270 in the room? -Mid-estimate, well done, Will. And that's £260 for you. What will you do with that? Treat yourself to something? -Yeah, a holiday or something like that. -He got given that watch for collecting glasses in a pub. -You were a loyal customer. -You probably spent more than that in booze. I'm getting my own back now! 'A solid mid-estimate outcome for Bernard. Have you been sunbathing? Have you been in the garden? No. Now I'm retired, I travel about a bit. -I went to Dubai for the cold weather. I came back from there and I went to Spain, just to see a friend. one necklace, a mourning locket and another necklace. It could be quite a lot of money. You could be jetting off again. -The first lot going under the hammer is the necklace. -It's a beautiful cross pendant. so I'm happy about that and it's on a 9-carat chain. -Let's find out what the bidders think. Here we go. -And that was a weekend in Rhodes. Lot 55 is a decorative cross pendant with the amethyst-coloured stones. I have to start straight in. I've got £250 here. At 250. Do I see 280 anywhere? The bid's with me at 250. At 250. Now 280? 280. 300. -They love this, don't they? -420. In the room now at 420. Do I see 450 anywhere? At £420 then. Are you all done at 420...? the mourning pendant and the mourning brooch. right down to 150 to 170. We've got the Victorian mourning pendant and the cameo, lot 61. 240. Clears me at 240. At £240 in the room now. At 240. Do I see 260? -We'll take that. That was very good. The quality of the locket and the quality of the carving on the cameo pulled that through. -Here we go, the last item, the necklace. Lot 67 is a nine-carat gold, snake-link type necklace. And this one I have to start away at £200. -At 200. Do I see 220? In the room now at 280. At 280. Do I see 300 anywhere? At 280 then. Are you all done at 280? Wow, that's a good result again! -That's a grand total of £940. -You are in the money, aren't you? -That's wonderful. I'm so happy for you. -I'm ever so pleased. Thank you for coming in. 'Anita's estimate may have been conservative, but it paid off handsomely for Pamela. This could be quite speculative. We're talking about the bone walking stick, 80 to 120. It's going to sell at that every day of the week, but some of these things could fly away at 400 to 500. I don't want to start bigging this up, but these things can happen. -All the money's going to charity, for your dogs? -Yes, towards the Flat-Coated Retriever Cancer Tumour. -And you've got quite a few retrievers. -I have. I've got four in total. Right, OK, here we go. And they all need help. Lot 370 is this rather unusual bone walking stick with the antler handle. I've had quite a bit of interest in it, so I'll start straight in. At 150. At 150. Looking for... 180. 280. In the room now at £280. At 280. Looking for 300. 300 with Fiona. 320. 400. 400 on the telephone here. At £400. -Gosh, it is your lucky day. No? At 580 on Martin's telephone. At 580. Are you all done at 580...? -What a fabulous result! £580, that was our lucky day. Two people fought that out together. -All the proceeds are going towards the charity that's looking after the cancer for dogs. -Thank you so much for coming in. -Bless you and bless the dogs as well! I hope they recover. Finally, it's the one I've been waiting for. Liz and Conran's super-sized boots. on all our faces at the valuation day in Wells Cathedral. -The boots turned up. Will said, "I've got to have those!" 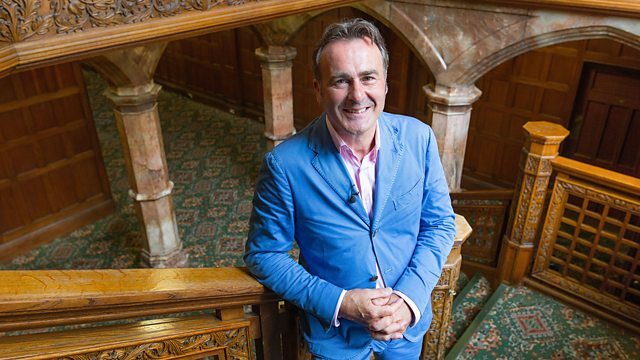 I think they're my favourite thing I've done so far on Flog It! Do you know, when you take time to look at them, the quality is superb. Where have you had them over the last few years? -They were on show. We always had them on the piano, or the side of the stairs. -An entertaining thing to have in the house. I can't wait for Claire to introduce these. Let's see what she says. Here we go. A pair of size 42 black leather Balmoral boots. Wonderful items. And I start away at £75. At 75. Do I see 80 anywhere? 80. 550, fresh bidder. 600. 650. Your valuation was a load of cobblers, wasn't it?! Not going to fill it up to 2,000?! 1,950. Ooh. 2,000 on the other telephone. Now, even this beggars belief. -I actually pitched this at £400 to £600. I'm glad you don't say I pitched these at £4-6,000. Come on, you can't leave 'em now! At 3,400. Are you sure? At 3,600, on the telephone. At 3,600, are you sure? You're sure. You're not bidding! 3,600 it is, then. Are you sure? 3,600. -I don't know what for! -Thank you for bringing such a quirky item in. It just goes to show, it is extremely hard to put a price on something. When two people want it, the sky's the limit. I'm tingling, are you tingling? What a wonderful way to end today's programme. What a brilliant day we've had. I hope you've enjoyed it. Join us again for much more fun and some more surprises next time. Enjoy the rest of the afternoon. Until then, goodbye. Paul Martin and experts Anita Manning and Will Axon are at Wells Cathedral in Somerset. The team manages to uncover an array of exciting items, including an intricate bone walking cane and some stunning miniature paintings. Paul also heads a little further afield to Bristol for a visit to one of the country's oldest zoos.